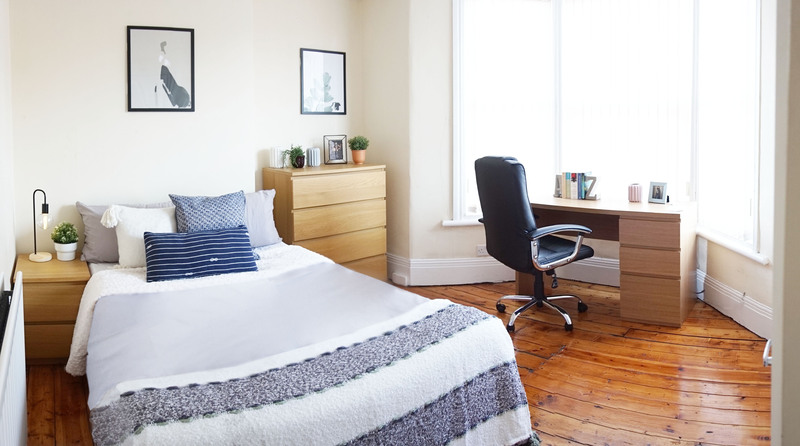 Student Lettings – Make it feel like your home! It can be an exhausting feeling thinking about the potential strains of making your student accommodation or letting property feel less static and more homely! Here at Prem-Lets, we have a few tips to ensure your student accommodation feels like home. There is no better way to make your student accommodation feel like home than with photographs! Print out photographs of your friends, family, hometown scenery and pets to make your living space feel more like you. Not only will it add a touch of home to your accommodation, but it will also make you feel a lot more comfortable, adding a calming vibe to your space. Place your photos around your room, or even hang them in creative ways across your wall. Remember if you can add nails to the wall make sure you use things like command strips/ hooks! Keeping your room and overall student letting tidy is vital! A clean and tidy home can really improve your mood in a positive way. Not only will storing your textbooks and items make you feel a lot more organised, but it will also increase the productivity of your learning – which at Prem-Lets, we believe is a huge plus! As simple as it sounds, home comforts are essential to making your student accommodation feel like a home. Home comforts are things that you associate with being at home, whether this is your dressing gown, blankets/throws or even your favourite mug – be sure to bring them along for added homely feels! Lamps are great at adding atmosphere and a particular ambience to a room. Whether you want something warm and inviting for visitors or dramatic for your own personal preference, lighting does make all the difference! Fairy lights are student favourites, they really do add such a cosy feel to your home and are very inexpensive too – which is always a bonus! When you walk into different peoples homes, one of the first things you notice is their smell; so why don’t you make your student accommodation smell more like you? A lot of student accommodation and lettings don’t allow for candles or wax melt burners however so make sure you do this by using reed diffusers or room sprays. If you are wanting to use a candle, make sure you check with your landlord and check your lease to check if this is allowed, but it most likely isn’t. Need any more information? Contact us on 0191 287 2888 today!